All of us at OfferForge would like to thank you for your support throughout the year of 2018 & we are looking forward to working with you again in the coming new year! 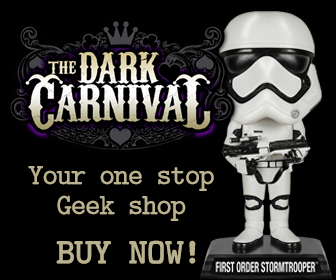 Dark Carnival Retail is a South African company committed to providing its customers access to the latest Comic Books, Graphic Novels, Collectables and related merchandise from around the world. Dark Carnival has partnered with OfferForge to launch their affiliate program, targeted at South African Consumers with an interest in collectables, Graphic Novels and Merchandise. Affiliates earn 7% on all sales, with a 30 day cookie. 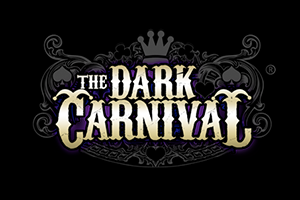 Dark Carnival has mobile and web creative in all IAB sizes. For a full list of creative please log in to your affiliate account. We’re super pleased to welcome Avbob to the OfferForge Network. 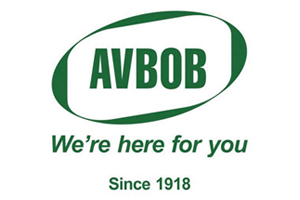 AVBOB is Africa’s largest Mutual Assurance Society and has provided a one-stop funeral insurance and burial service solution since 1918. This offer pays out R50 for each valid lead. 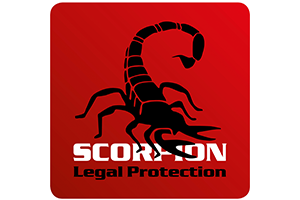 Scorpion Legal has renewed, so if you’re already approved, you can start driving traffic immediately. This form requires only 2 fields, Name & Phone Number, so it converts like clappers! Not yet signed up? Log in and apply to run this perennial performer. 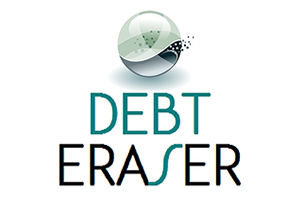 Debt Eraser is also back, if you’ve run this before you know the new year is just the best time for this offer to perform. Unfortunately, overindebtedness is something many South Africans live with. If your site is general consumer traffic, finance or loan related, this offer is virtually guaranteed to print money! 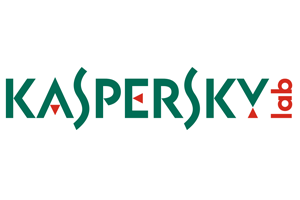 Kaspersky has launched a special promo, exclusive to OfferForge. With every purchase consumers get 3 extra months free, translating into a 20% saving. Banners and landing pages have been loaded, so if you’re running this offer already, no need to change creative. If you’re not yet picked it up, log in and grab your banners now. Jan might be a long month for most of us, but finance offers are on fire! I recommend you check out the finance offers. Credit/Store cards, loans & debt assistance are just killing it on Facebook, Display & Email. Even SMS (if you’ve got opt-in data) will result in high responses. I was asked to explain Host-n-Post last week for those of you that haven’t yet worked with it, thanks for that question, Jaco V! I’ll be putting up a video on how to use host-n-Post in the next day or so. Subscribe on Youtube or like us on Facebook to get updated as soon as I put it up. To run any of these offers, log in, grab the code or apply to run the offer and you’ll all set. Christmas 2016 is officially STAYCATION SEASON. The silly season is also the perfect time to promote retail credit offers on your website, social pages or opt-in email. Which Brand would you Prefer? RCS Store cards are the undisputed leaders in Retail Credit, and with so many branded cards to choose from, applications are converting exceedingly well. Did you Know? : Consumers can use an RCS Card anywhere RCS is accepted, not just at their branded store. EMAIL, BANNERS & TEXT LINKS available. Drop me a mail and I’ll get you set up and send you your personalized links. This week`s competition needs little introduction, it`s just absolutely mouth-watering and most probably one of the best competitions so far…it`s a R1000 Chocolate Hamper! Payout: You will be paid R3.50 per validated lead. Notes: I really don`t think this needs much of an explanation, the lucky winner will win loads and loads of super yummy chocolate! Brand new creatives are available in the Creative section of the offer. If you are looking to mail this offer then let us know, we will get you set up. Variety is one of the best options when it comes to campaigns you run as an affiliate. This competition is really something different should convert well with most audiences. Remember that you will get paid for ever unique competition entry. High paying lead generation offer! We have increased the payout on our Auto Assist offer with R25, starting now! We have banners and a mailer available in the creative section so if you are not running it yet then there is no better time than now. Mobi-Cell has certainly become a very popular offer under the Affiliates, bringing in numerous sales every single month and still climbing! Notes: You don`t have to do any of the work – just apply and they will match you up with the best service provider! Easy peasy. All creatives are available in the creative section of the offer so go grab some banners and get that mailer out to increase your chances! The offer is already one of our most popular offers on Offerforge.com and this has happened in a very short time. This is however understandable as the offer really appeals to a wide demographic in South Africa. Father’s Day affiliate offers anyone? Father’s day is around the corner and our awesome advertisers have some brand new creatives for their affiliate programs that you can add to your site! Give us a shout if you have any questions! There are many ways you can cash in on Father’s Day with your traffic… so what are you waiting for? Remember that we are always just a quick call or a mail away and we are always willing to help where we can. Whether it is a cost per sale offer where you earn commission on every sale or a lead generation offer. We want to make sure that you make money online. If you’re looking to combine a healthy income and do some good, check out the Different Life Affiliate Program exclusively on OfferForge. Philanthropy is a hot topic in consumer space. Toms Shoes, Woolworths and many other brands have addopted or incorporated philanthropy in their business models. Different Life are disrupting the insurance industry with a unique value add. Each year, instead of paying 12 insurance premiums you only pay 11. The 12th payment you make is donated to charity through Different.org, so you’re not only insuring your life, but also ensuring that good gets done. We think this approach is unique, savvy and more importantly it dramatically improves lead conversion! Interested in how they make a difference? What is a commission rate? Does OfferForge charge affiliates to join their network? How do affiliates get paid?